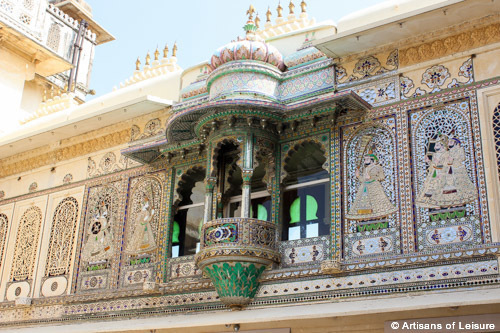 Udaipur, a city in Rajasthan, India, has a long history and tradition of beautiful decorative arts. 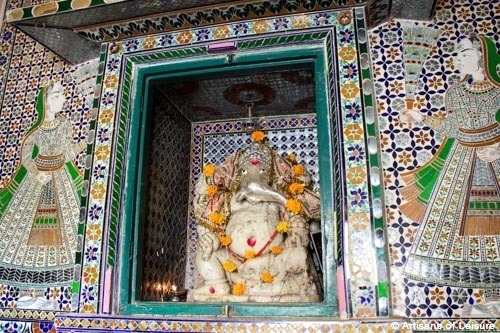 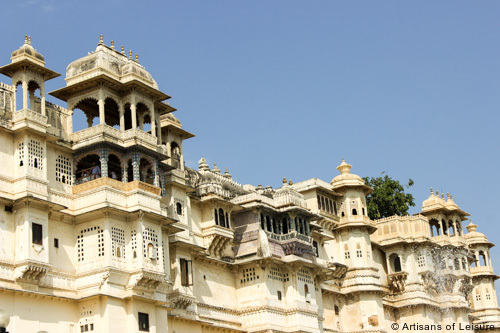 One of the best places to appreciate the many local styles and techniques in Udaipur is at the City Palace. 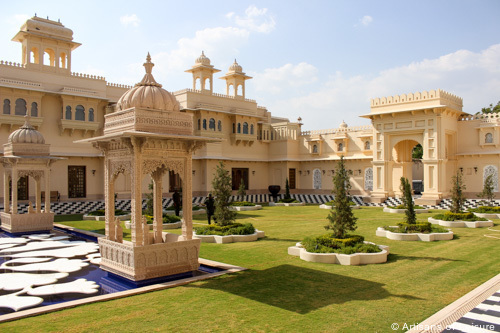 Over the centuries, local maharanas (princes) brought the most skilled craftsmen to decorate the palace with intricate carvings, detailed miniature paintings and colorful frescoes. 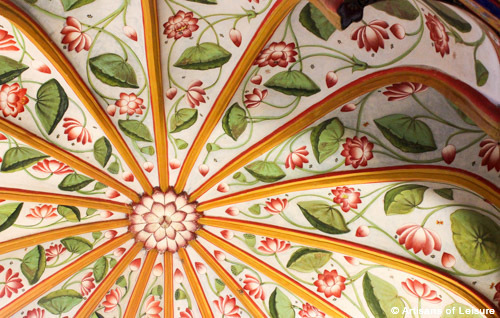 Beautiful inlays throughout the palace depict animals, birds, floral and geometric designs, and scenes of courtly life. 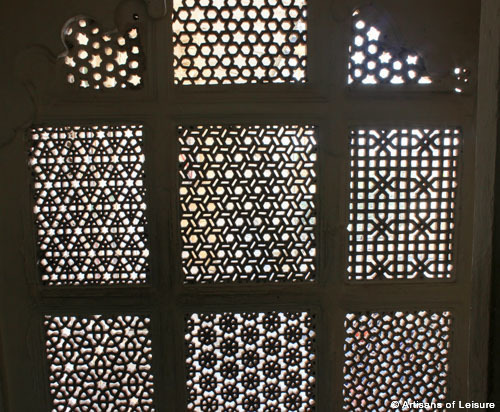 An intricately carved screen provides light and air while maintaining privacy. 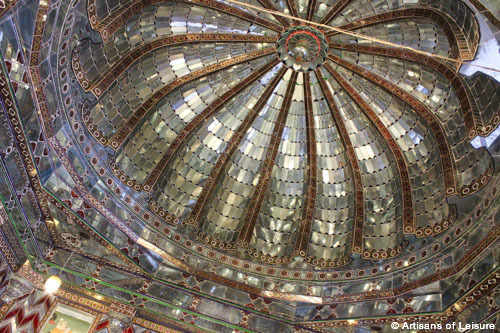 The Sheesh Mahal, or Palace of Mirrors, is one of the most impressive rooms in the palace. 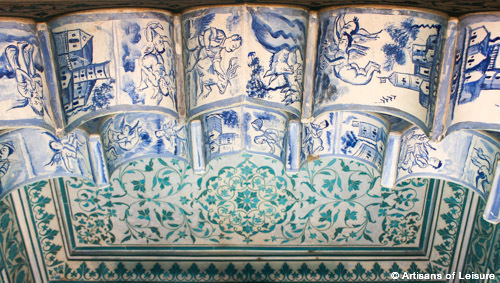 Each panel of these plaster arches is painted with tiny pastoral scenes in blue and white. 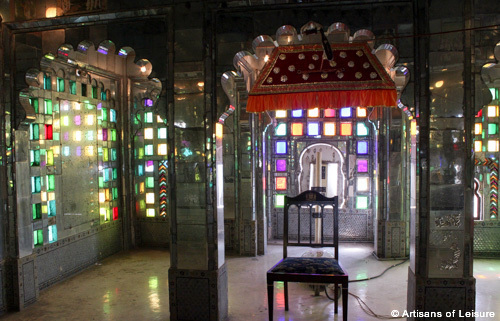 Stained glass and mirrors in the throne room create a colorful interplay of light. 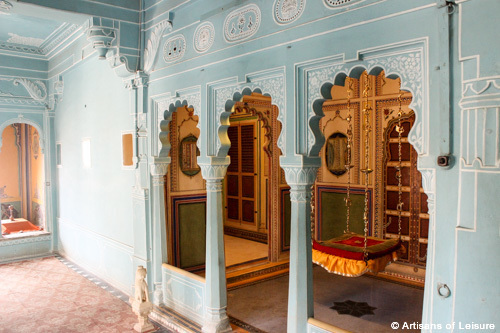 The maharani (princess) sat on a swing in this elegant room while her attendants dressed her. 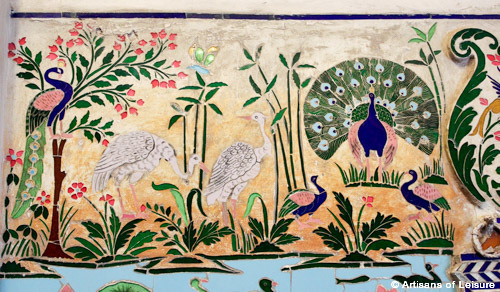 This overhanging balcony in Mor Chowk, or the Peacock Courtyard, features images of trees and nobles made from glass inlay. 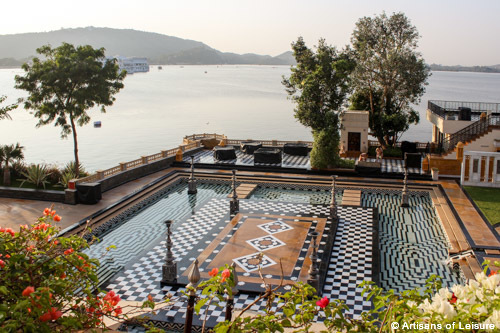 The top resorts in Udaipur, such as The Oberoi Udaivilas and The Leela Palace, are inspired by the city’s wonderful tradition of decorative arts. 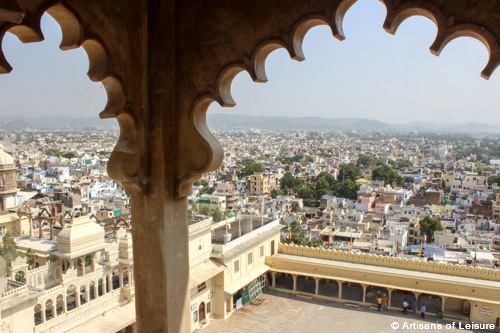 Udaipur and the City Palace are included in many Artisans of Leisure India tours. 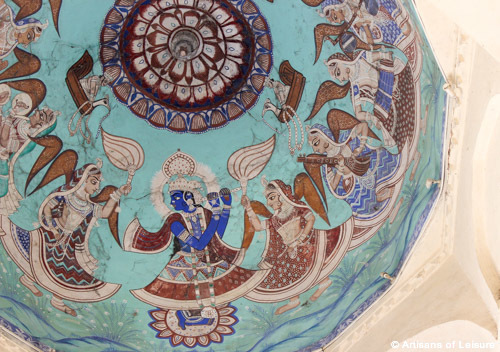 Contact one of our India specialists to start planning a private, customized India tour.